Students majoring in Biblical Studies, Biology, Business & Economics, Psychology, or Philosophy are encouraged to apply for a semester at the University of Edinburgh. The inspiring capital of Scotland is a historic, cultured city that offers a unique living and learning experience. Consider joining a lively academic environment in one of the most vibrant cities in Europe, Edinburgh is regularly voted as one of the most desirable places to live in the world. This cosmopolitan, safe and welcoming atmosphere encourages international students to feel at home quickly. Edinburgh's international reputation for excellence is well founded, with the University recognized regularly for teaching and research excellence. Students in other majors wishing to study at the University of Edinburgh MUST file a petition for study along with the seat application. Scottish universities have twice the credit hours of most European universities. Sixty-credit hours is the minimum number of credits per semester at University of Edinburgh. That means, three 20-credit classes constitute the minimum load a student may take at Edinburgh and will come back to Gordon at 15 credit hours. 20 University of Edinburgh credits = 5 Gordon credits. **Catered accommodation is guaranteed to all international students accepted by the university. However, students are encouraged to choose self-catered accommodation because this allows for apartment housing with Scottish students.  Fees charged by the University to maintain accommodation through the semester break are paid by Gordon. After the Global Education Office has notified you of your approval, you may then proceed with the program's application. Spring applications are accepted until October 31.